See scan - very good condition. 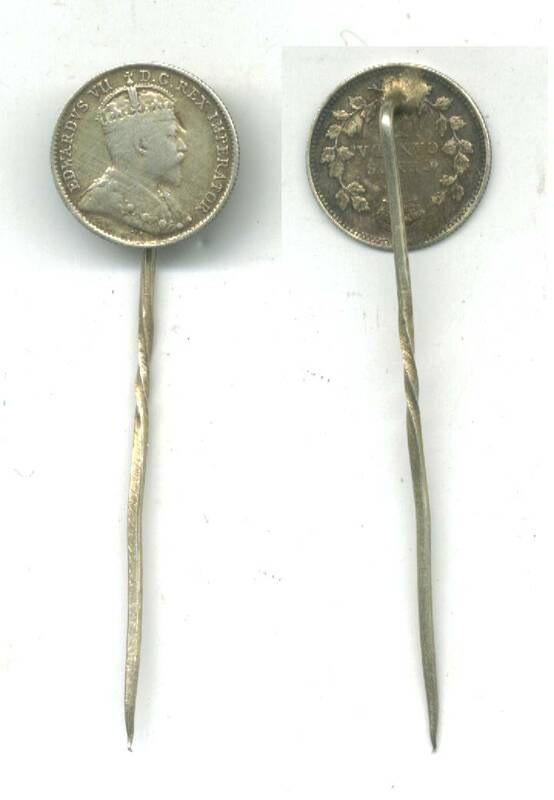 This is a nice vintage Canadian 5c British King / Emperor Edward VII silver coin made on a tie pin. The hole piece is gold plated / gilt. Nice old piece of jewelry.